Poinsettias are another great Christmas tradition. These brightly coloured flowers are sure to brighten up any home through all our dark our December days. 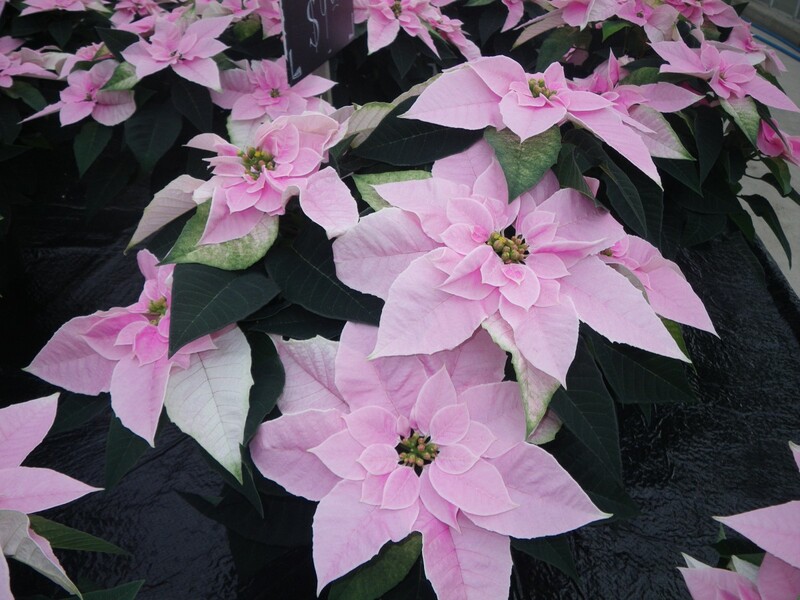 Our local poinsettia growers buy cuttings in mid-summer and carefully grow them until November/December. These poor plants have to grow through our hottest summer days and our darkest winter days. Not an easy life for a hot house flower! 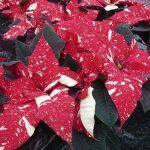 As you enjoy Christmas and your poinsettias, we’ve complied some fun facts to help you enjoy these seasonal beauties even more. Poinsettias are native to Mexico. They are found in deciduous tropical forests at moderate elevations the entire Pacific coast of Mexico to Chiapas and Guatemala. 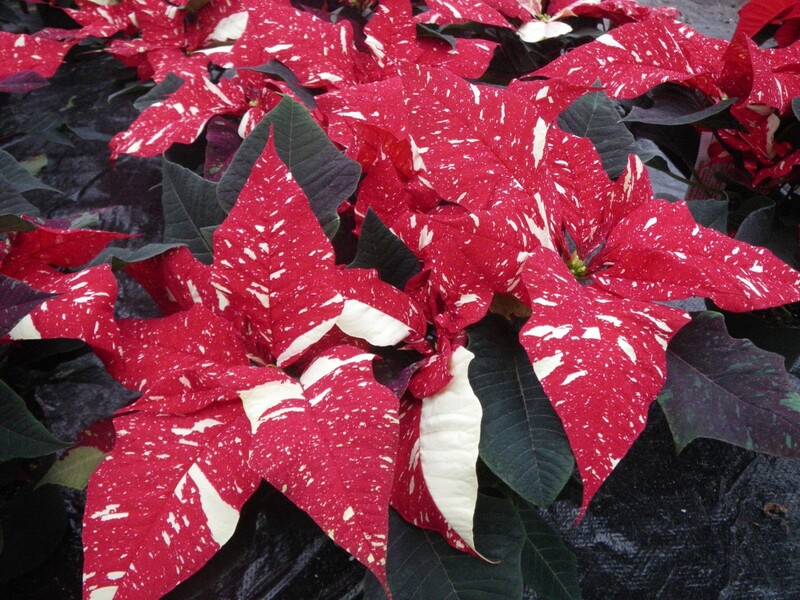 Poinsettias are actually small tropical trees or shrubs that can reach heights of 12 feet. Imagine seeing a whole forest of poinsettias! In their native southern Mexico, poinsettias blooms in December. In the fourteenth to sixteenth centuries, the Aztecs used the poinsettia leaves to dye fabric for clothing and the sap for medicinal purposes, including to help control fevers. They also considered the red color a symbol of purity, and so poinsettias were traditionally part of religious ceremonies. 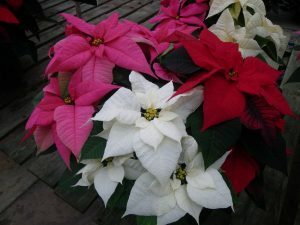 In Mexico and Guatemala, the poinsettia is called (translated) the “Flower of the Holy Night” referring to Christmas Eve. 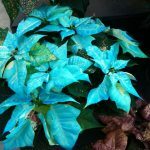 Dr. Joel Roberts Poinsett, an amateur botanist and first United States ambassador to Mexico, introduced the plant that became known as the poinsettia to the rest of the world. He discovered a shrub with brilliantly colored red leaves growing by the side of the road in Taxco, Mexico, in December 1828 and sent cuttings home to his plantation in Greenville, South Carolina. They were named poinsettias in his honour. 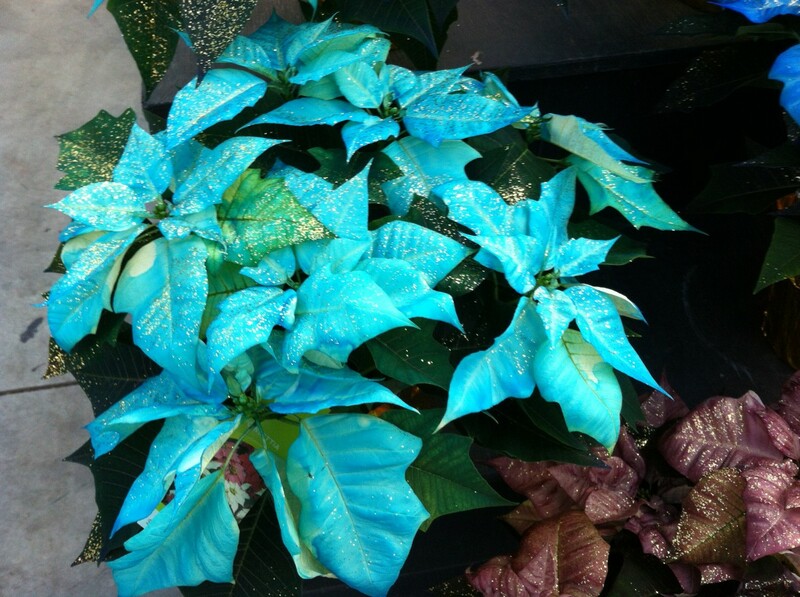 And, get this; most other botanists of the time considered poinsettias to be a weed and not worth cultivating. Little did they know! 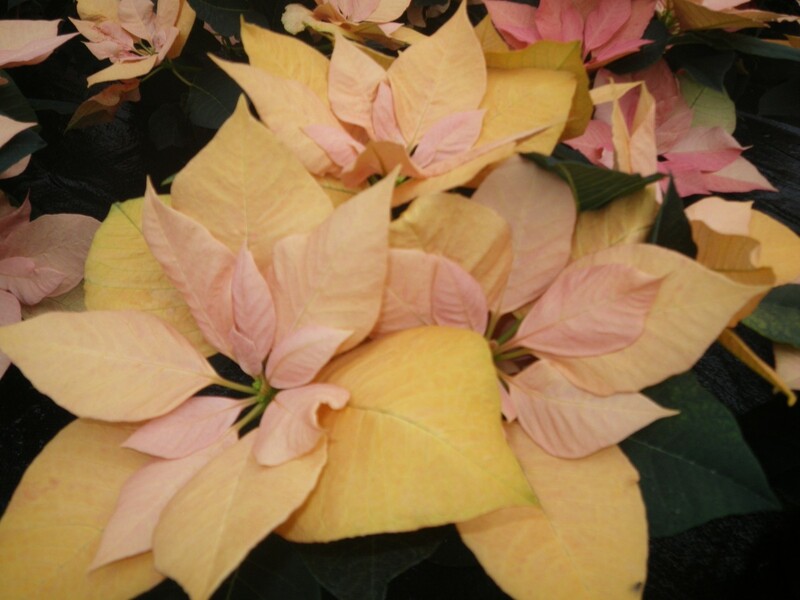 The poinsettia’s main attraction is not its flowers; it’s actually the leaves or bracts. The flowers of the plant are the yellow clustered buds in the center (termed “cyathia”). The colored leafy parts are actually bracts or modified leaves that turn color in response to the plant forming flowers. Poinsettias set flower buds in fall as the days start to shorten. 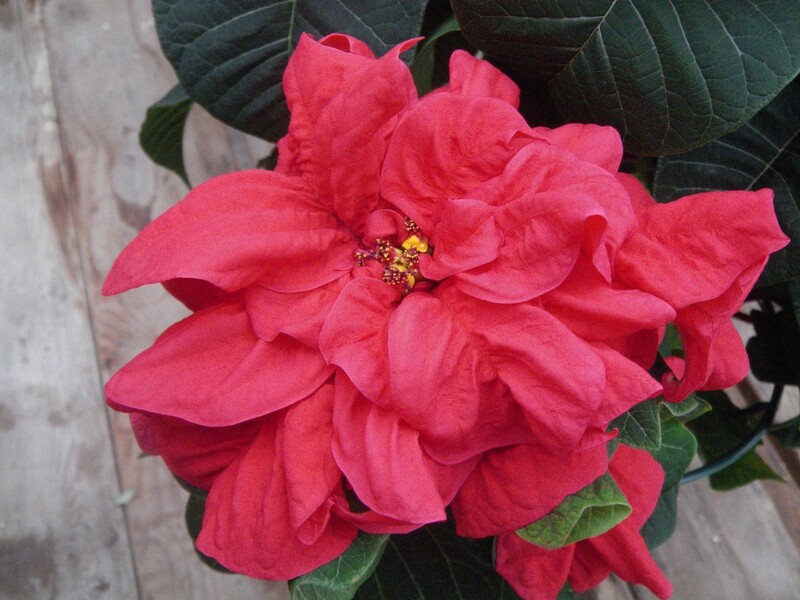 Poinsettias are the number one selling potted flowering plant in North America. There about 45 million poinsettias grown in North America last year. Easter lilies are a far distant second place. 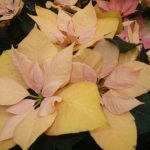 There are more than 100 varieties of poinsettias that come in a range of colors from red, salmon, and apricot to yellow, cream, and white (but not blue—these are a designer color created with dyes). There are also unusual speckled or marbled varieties with several colors blended together. 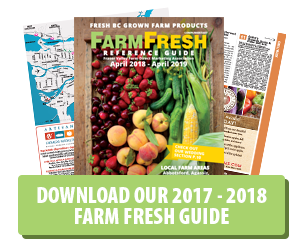 Every year plant breeders seem to come up with new varieties for us to enjoy in our homes. 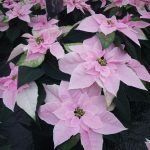 The best way to prolong the life of this beautiful Christmas plant is to avoid hot or cold drafts, keep the soil moist not soggy, and place it in a room with sufficient natural light and temperatures of around 16 to 20 degrees C. Water when the soil begins to dry. 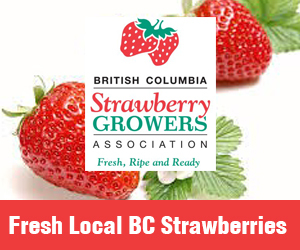 Above all, protect it from exposure to wind or cold on the way home from the store. Remember that poinsettias are native to the warm climates of Mexico, so they are highly sensitive to cold temperatures and even a few minutes of exposure to less than 10 degree C will cause them to wilt. When cared for properly, poinsettias usually will outlast your desire to keep them!